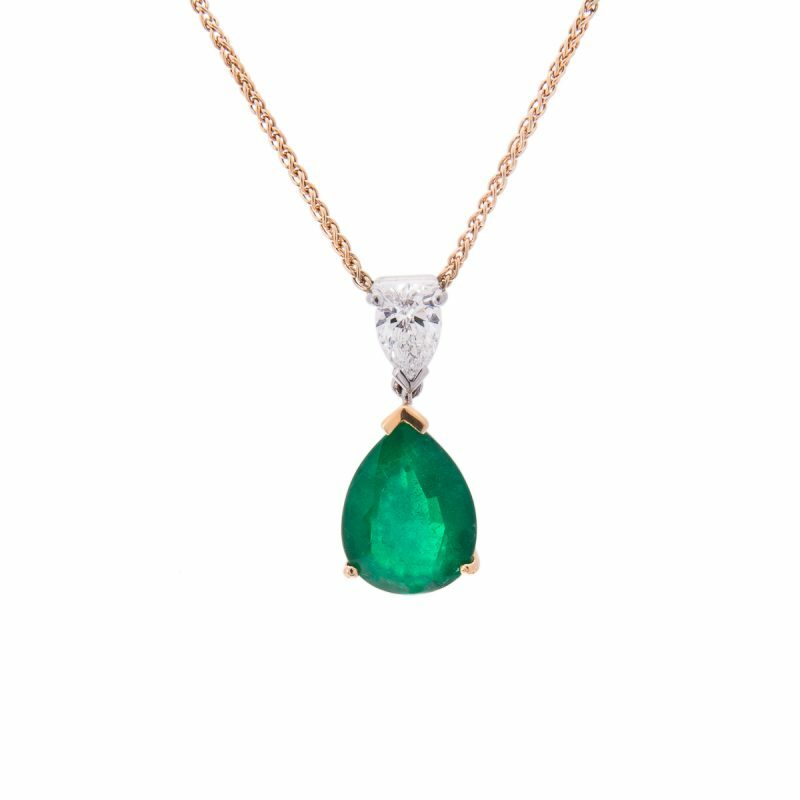 18ct yellow gold pear cut emerald, whose elegant shape is further accentuated by a pear cut diamond, all mounted as a drop pendant on a fine chain. 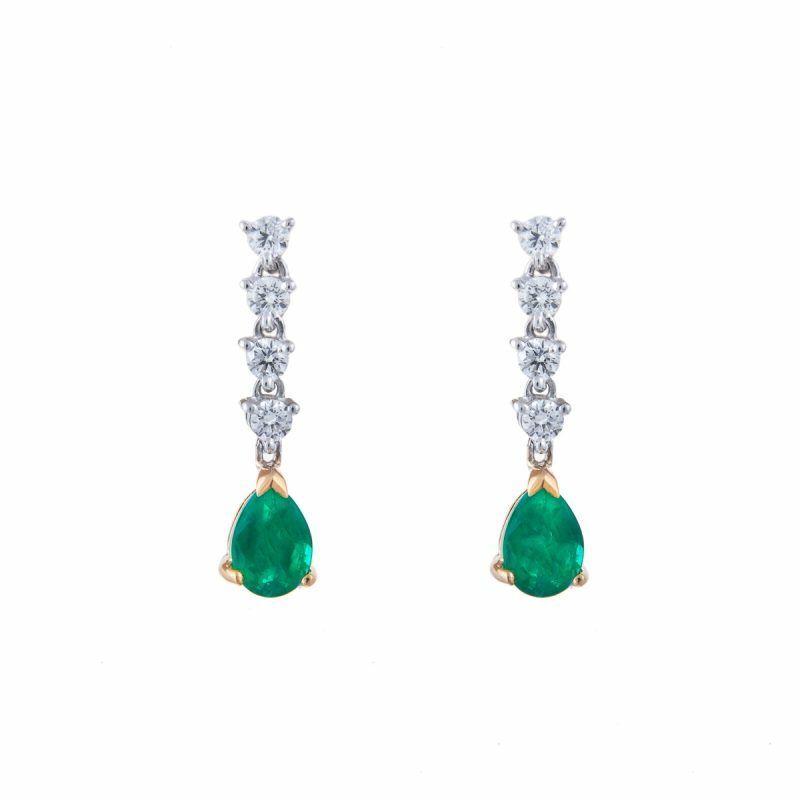 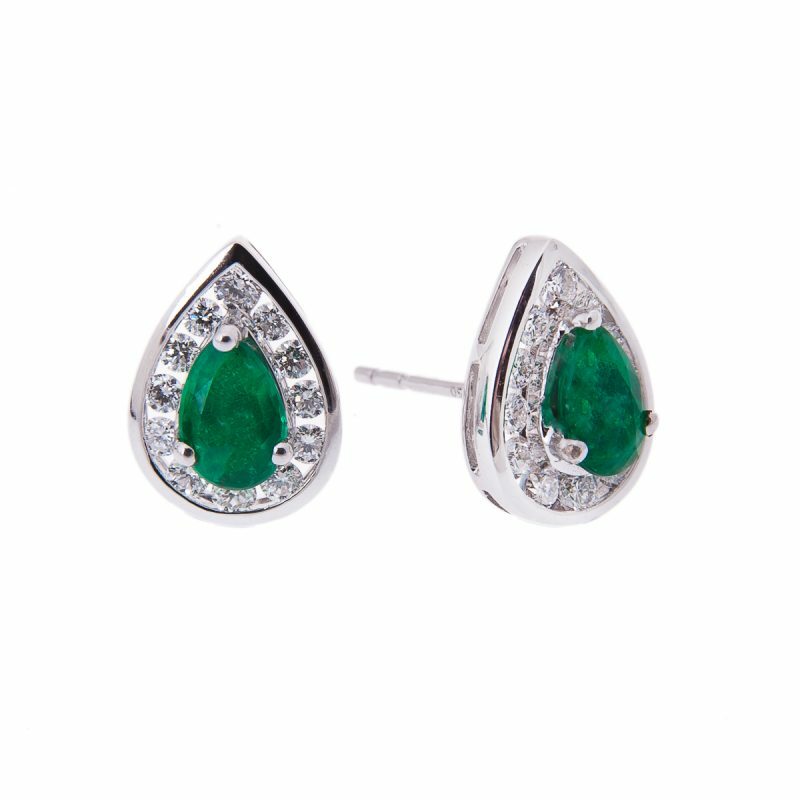 The simplicity of this claw setting allows the very fine quality of the emerald to shine through. 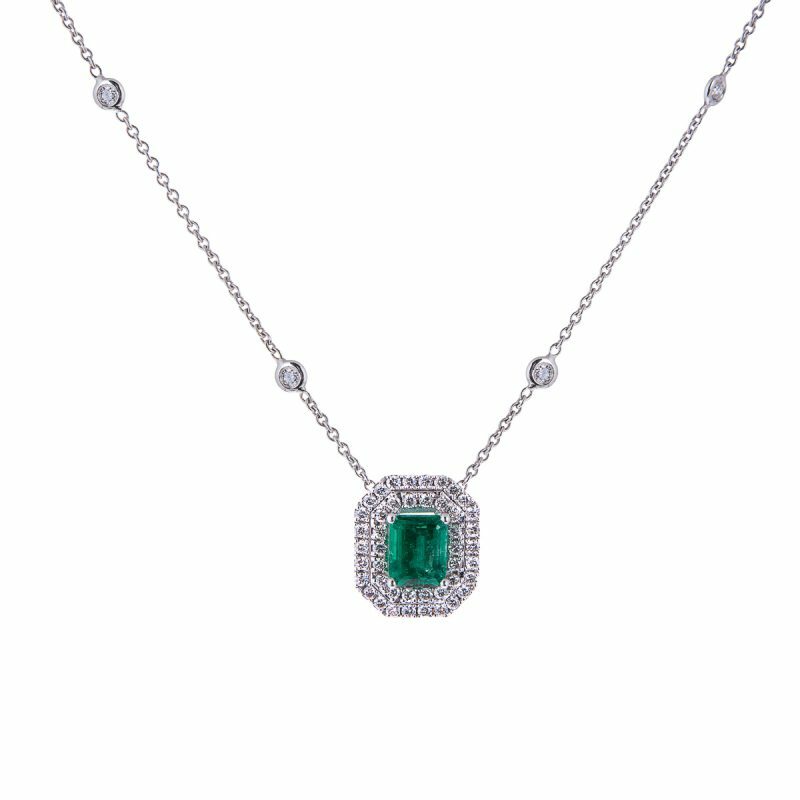 If she likes understated jewellery she will adore this stunning pendant.